Grainger Public Relations » Big Bang – The Rocket Men Show! Big Bang – The Rocket Men Show! Dundee’s very own ‘Rocket Men’ are promising a spectacular show of big bangs and explosions this week (Thursday 10 November 2016). 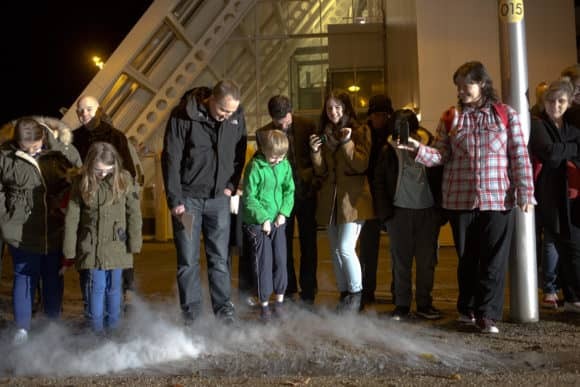 An impressive array of bangs, exciting experiments and spectacular surprises will be showcased at Dundee Science Centre, with science communicator and TV presenter David Wharton and University of Dundee scientist David Foley exploring the colourful chemistry of the fireworks. 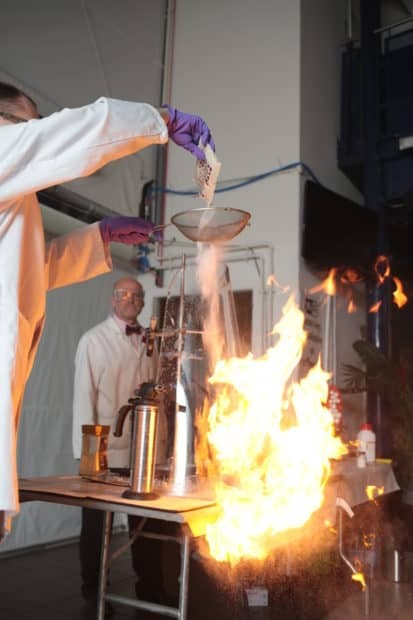 There will also be an exploding pumpkin, permanganate volcano, sparklers and hydrogen balloons culminating in a liquid nitrogen explosion with hundreds of ping pong balls! Shows will be held between 5.30 and 7pm, and 7.30 and 9pm. The whole of Dundee Science Centre’s exhibition area will also be open for visitors to explore throughout this event. The event is recommended for ages 8 and upwards – £5.95 for children, adults free of charge. Booking is advisable – telephone 01382 228800. Now in its seventh year, the science celebration descends upon the city from Saturday 29 October through to Sunday 13 November 2016, promising fun, entertainment, inspiration and curiosity for all ages in the shape of 30 events.